I write this article today as a yoga teacher who not only practices meditation daily, but who loves her meditation practice. But this was not always the case. My years with meditation have been a battle, one where I’ve felt a whole range of emotions from frustration to stupidity to complete doubt. Meditation did not come easily to me. However, it become such a beautiful and integral part of my life (after much work!) that I hope my story will encourage those who are feeling frustrated with their own meditation practice. My early days of meditation began in studio yoga classes. There was usually only a two or three minute blip when the yoga teacher would ask us to sit silently. And this happened rarely. Back then (and very much so now, too) there was little emphasis on meditation in yoga classes. No one had ever taught me how to meditate, so I took this as a time to let my mind wander. To think about what to make for dinner. To try to solve problems I was having with my boyfriend. I let thoughts flow, and never came out of these sessions feeling at all relaxed. Meditation at this point remained a mystery. As the years went on, my yoga practice remained a constant but meditation was still elusive. I actually felt kind of stupid that I didn’t know how to meditate, because it seemed like everyone else in class did. And it wasn’t until I did my yoga teacher training in India that I finally got my big lesson in meditation. When my teacher Yogi Ram first asked the class how many of us meditated, most everyone said yes (myself excluded). He was impressed. And I felt incompetent, like a lesser yogi. But after our first “meditation”, Yogi Ram put us in our place. As he observed the class during this short 5 minute blip, he saw each and every one of us fidgeting. No one could sit still — a prerequisite to meditation that apparently none of us had learned. It quickly became apparent that what we considered “meditation” was not meditation at all. Alas, I wasn’t alone in my ignorance. Our month of TTC became as much about asana as it did about training the mind. Yogi Ram started with the most basics of the meditation basics: sitting still. As it turns out, if your body’s moving, then your mind will, too. We spent a whole week learning to sit still, starting with one minute, then five, and finally ten. And as I remember, this was the hardest part of our lessons. Sitting still can feel impossible for the unhabituated. We become hypersensitive to bodily sensations like nose itches or knee pain, and we urge to move. But meditation asks us to accept all bodily sensations without reacting to them. It takes a lot of practice. Once we were finally able to sit still for a hot minute, Yogi Ram led us deeper. We started to learn how to focus: the second prerequisite for meditation. I now understand that it’s this teaching which is missed in yoga classes. Concentration is rarely taught. But in order for the mind to enter into thoughtlessness, it first has to immerse itself in one thought only. The mind’s very nature is to think, so meditation is in essence asking the mind to go against it’s own nature. This is why we need concentration techniques. Meditation techniques help the mind to concentrate so that all other thoughts and eventually the object of concentration itself all dissipate. Without a technique, one can never meditate. 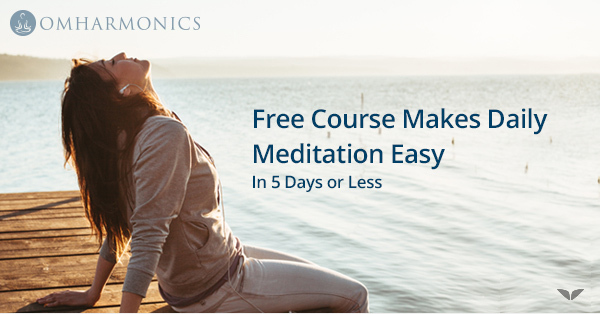 We learned several different techniques over the next few weeks, along with different meditation postures, mudras to aid in concentration, and lifestyle adjustments that help a meditation practice. I put all this into practice but still, my mind was a full of random thoughts and chaos. Yogi Ram assured me that “meditation is not a myth” and if I gave it enough time, it would happen. Being my trusted teacher, I believed him. I left my TTC on a mission toward enlightenment which first and foremost meant I had to be able to meditate. I headed to the spiritual center of Rishikesh, India, where I woke up every morning for 5 weeks at 4 am to sit on the banks of the river Ganges. Cliche, perhaps, but early mornings are considered the best time to meditate, and the flowing sound of the holy river seemed to calm my mind. Five weeks came and went, and almost nothing happened. A couple times I bridged into thoughtlessness but it only lasted a few seconds. And so, time to move on, I went further north to the Himalayas. This time, I spent my early morning meditation trials in a forest where I was able to find solace. I tried and tried. Still, very little happened. I came back to the US. I kept trying. Nothing happened. I gave up, got back into it, gave up again, and went on like this for a while. I even sat in silence for 11 days in a full-on Vipassana meditation course, but still my mind was chaotic; the complete opposite of thoughtlessness. I almost started to believe that I was incapable of meditating. As a yoga teacher and ayurvedic practitioner, I felt like I’d be a fraud if I didn’t meditate. Maybe this would have been my last go had it not worked, I’m not sure. But I decided to try one more time. This time, I changed my technique. I’d been focusing on my breath for the past three years and although that wasn’t working for me, I hadn’t given other techniques much of a chance. And so I moved on to mantra. In my very first session, something clicked. Mantra helped me to concentrate, and all along concentration was what I lacked. Remember: if you can’t concentrate, you’ll never be able to meditate. It’s all about finding the right concentration technique for you. Once I finally found mine, I was able to arrive at a true state of meditation. My journey with mediation has been long. It was only because I didn’t give up (for good, anyway) that I eventually tapped into that blissful state that makes people want to meditate in the first place. I needed a teacher, and I needed the right technique. Unless you’re extremely spiritually evolved and have been meditating for all of your past lives, the same probably goes for you too. The challenge continues. I practice meditation every day. Somedays my mind is all over the place and thoughts seem incessant. Other days, I close my eyes and I’m there. The important thing is to not judge the day’s practice as good or bad, but to keep trying every day. This is how a fruitful meditation practice is built. Over the years I’ve heard the word “meditation” thrown around so often. For whatever reason people love to use this word and claim they meditate. I’m not sure if it makes them feel evolved, or spiritually aware, or what, but the ways in which it’s used don’t reflect the real meaning of the practice. And that’s okay. Most people haven’t been taught what meditation really is. They’re under the impression that thinking about something deeply is meditation, or closing their eyes and letting their mind wander is meditation. But this is meditation. It’s a beautiful, blissful state that manifests in each of us differently. It is worth the effort to get there, whether it takes 3 days or 3 years. If it feels like a battle then try a different technique. Give it a month, and if you still feel your mind wandering, try another. Work with a teacher. Don’t give up. Meditation is real, and it is worth it.